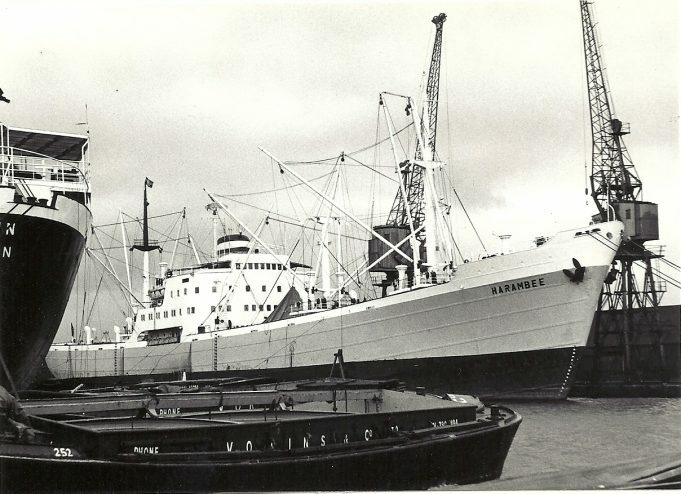 The HARAMBEE was built in 1953 at 6,169 grt. and scraped in 1980. Her previous names were BELGRANO, SANTA BARBARA, and went for scrap as the ARAMBEE.